Origin - Iran. Sourced uniquely in northern Iran, it should not be confused with F. Rubriacaulis from southern Iran, or F. Ceratophylla from Turkestan, both of which are inferior species. 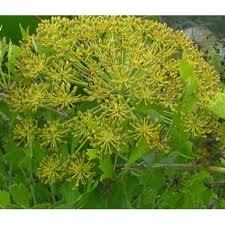 History - Galbanum is one of the oldest of drugs. In the Book of Exodus 30:34, it is mentioned as a sweet spice, to be used in the making of a perfume for the tabernacle. Hippocrates "The Father of Medicine" employed it in medicine. Effects on the Body - Highly beneficial when used in massage to relax and soothe tense or tight muscles. Blends Well With - Chamomile, Frankincense, Geranium, Ginger, J, Myrrh, Palmarosa, Rose, Sandalwood, and Ylang Ylang. Cautions - DO NOT apply this oil directly to the skin without being diluted in a carrier oil first. Reward Points 16 points will be rewarded to you when you buy this item. Copyright A Scents Worth LLC. All Rights Reserved. eCommerce Software by 3dcart.